The problem in the aquaculture industry is the breeding/rearing ponds suffer erosion as the result of wind, rain, and aeration. 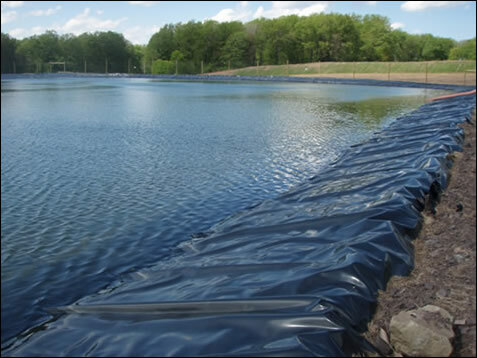 The simple, inexpensive, solution is the installation of a Geomembrane liner covering the top portion of the berm removing the effects of heavy rain and wave action caused by high winds. ETP has the liner to solve your problem. Contact Engineered Textile Products, Inc. to place an order for your liners now, we are waiting to assist you. Please feel free to contact us at 1-800-222-8277 or at carterdamp@etpinfo.com.